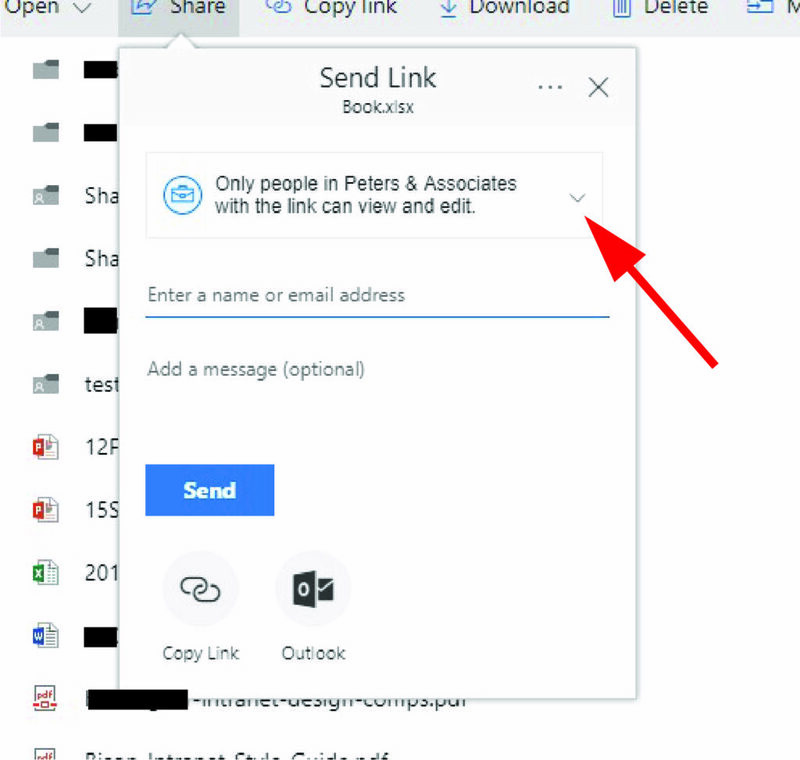 Recently, Microsoft updated the interfaces and options for sharing OneDrive for Business documents externally (outside your company). 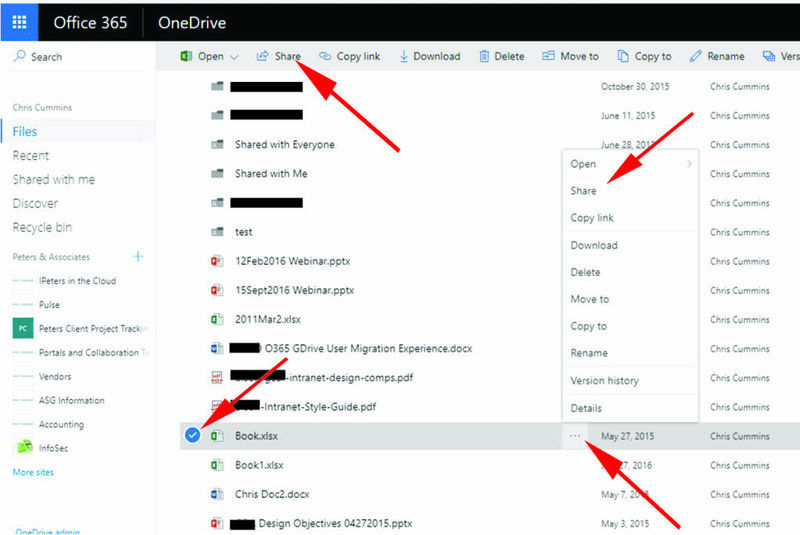 This new design is part of Microsoft’s “new experience” for OneDrive for Business. 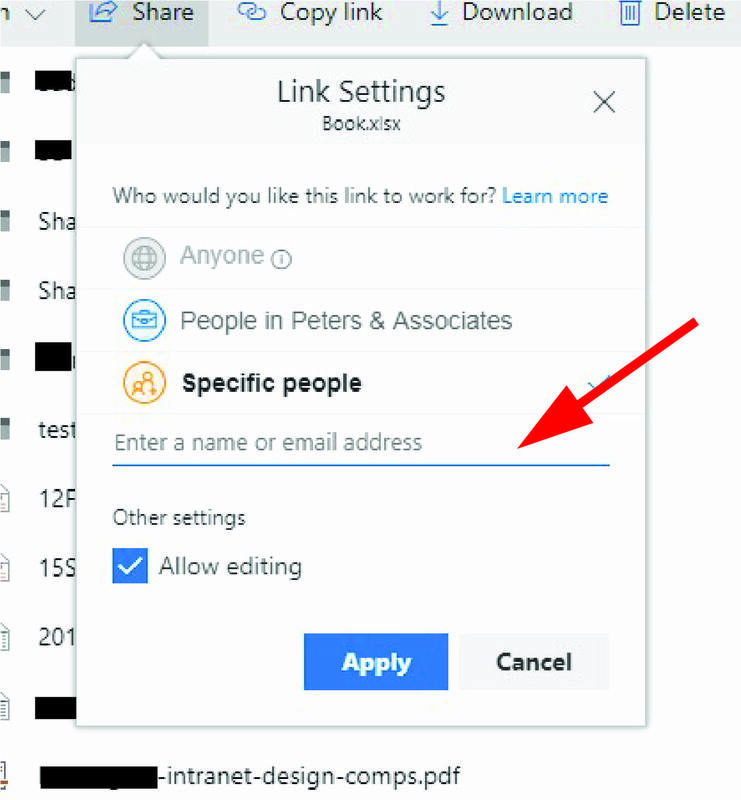 If your Office 365 administrator has restricted external sharing to only allow access by those that “sign in as authenticated users” (requires a consumer Microsoft account), here’s a quick guide to using the “Share” features. 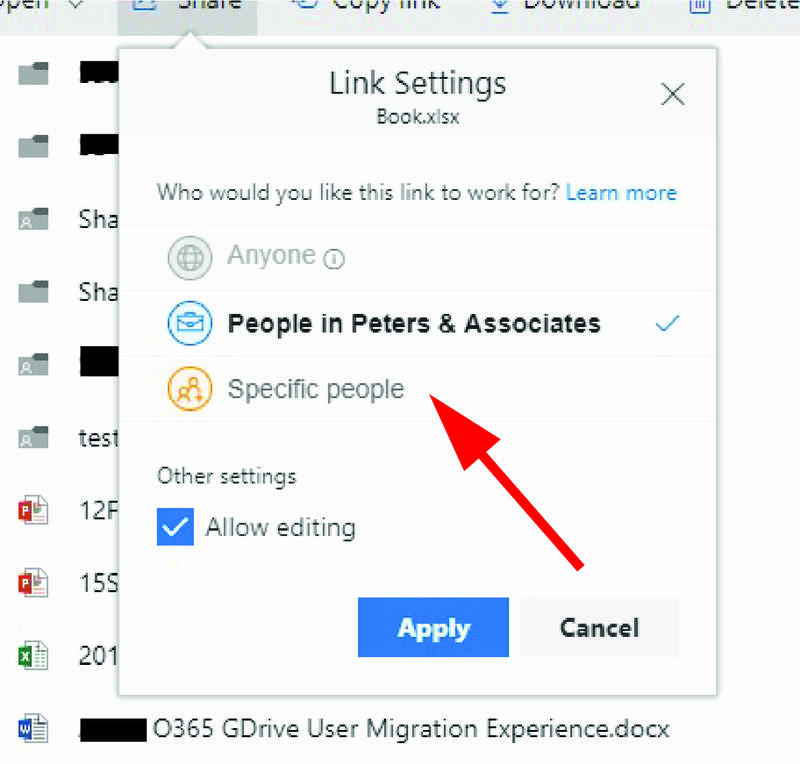 Select the document or folder you want to share by hovering over the file and clicking the checkbox immediately left of the file name. 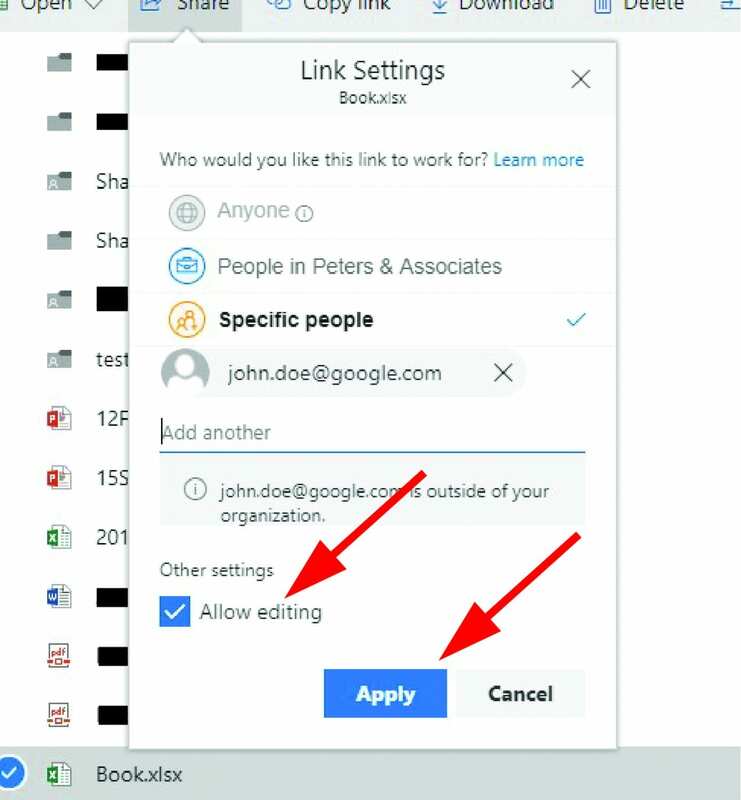 Use the “Share” link in the library tool bar or by clicking the ellipsis icon for the item and selecting “Share” from the item tools dropdown. 2. The Sharing dialog opens. Click the dropdown arrow in the User list to change the setting. 4. The dialog box updates and you can now enter the user or users that you’d like to share with. 5. 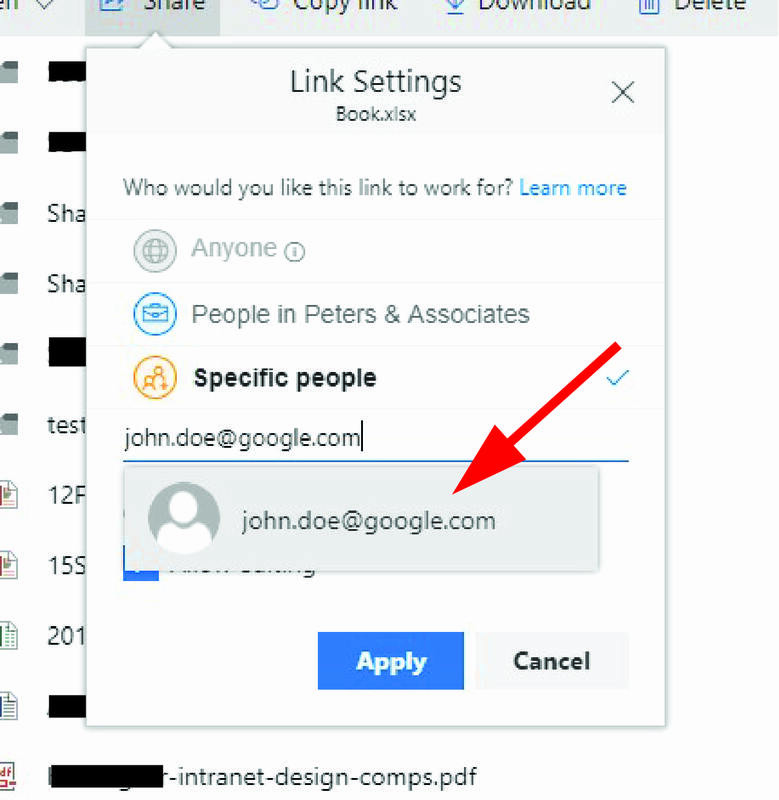 Type the user’s email address on the line “Enter a name or email address”. The app will provide a box with the email address once you type in the name. Click the box. 6. You can now add another user’s email address. Continue until you have added everyone you want to share the document or folder with. Click the “Apply” button. 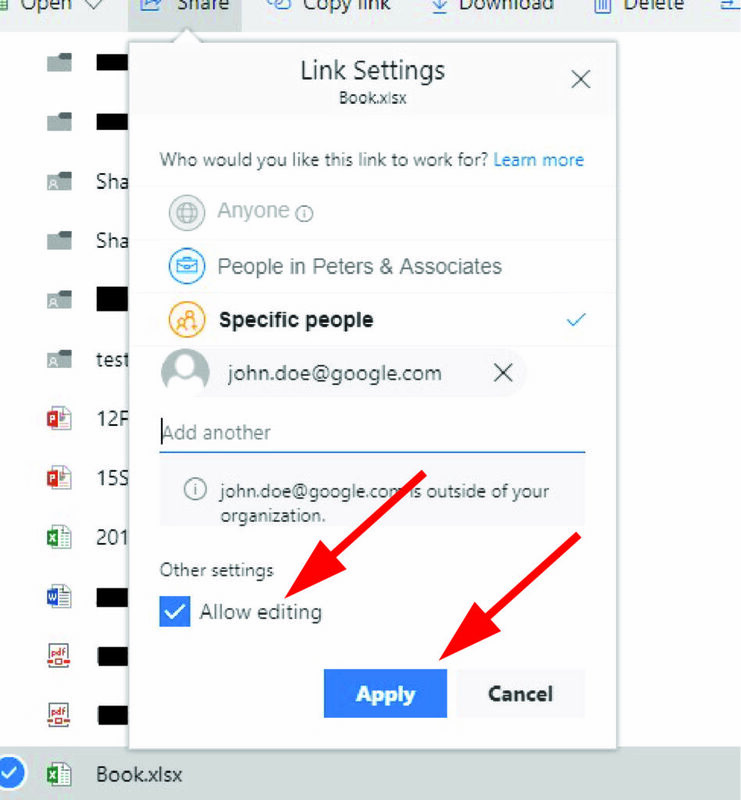 Note you can change the access permissions to “read-only” by deselecting the “Allow editing” checkbox. 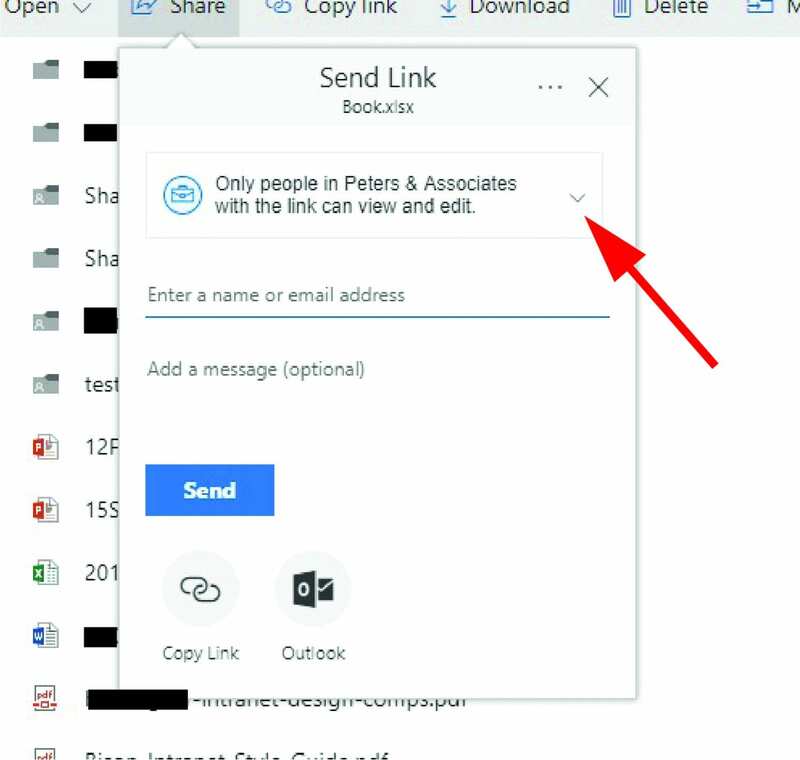 After you’ve followed the steps above, both you and the recipient will receive an email with a link to the shared file or folder. Under the restrictions described in the opening paragraph, the recipient would be required to have or create a free Microsoft account associated with the receiving email address. 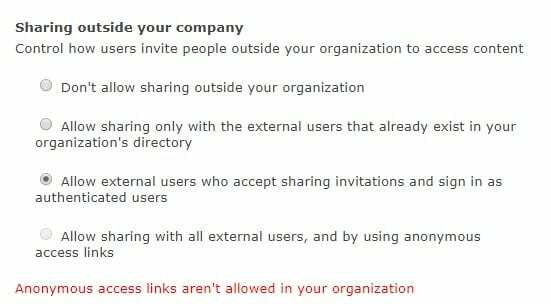 Restricting sharing in this manner allows Office 365 administrators and users to have a greater degree of confidence in the integrity of the files that they share outside their organization. Of course, if at any point you decide that you don’t want a specific individual to have access to a file that you shared, you can remove access for them. Have you considered implementing SharePoint Online or OneDrive for Business? Need help understanding or implementing a governance and permission policy for your cloud storage? Reach out to info@peters.com. We’re ready to help.